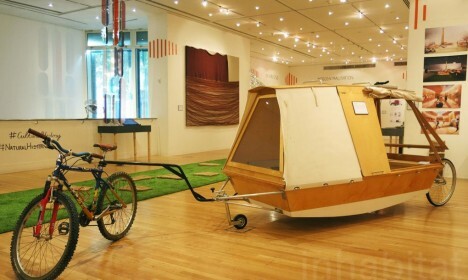 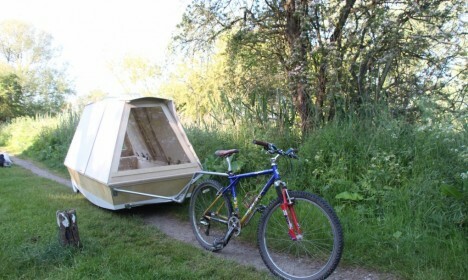 Combining the cheap convenience of a hostel with the outdoor access of a tent, this wheeled micro-dwelling can be carted behind a bicycle then lowered into the water for a night of floating fun. 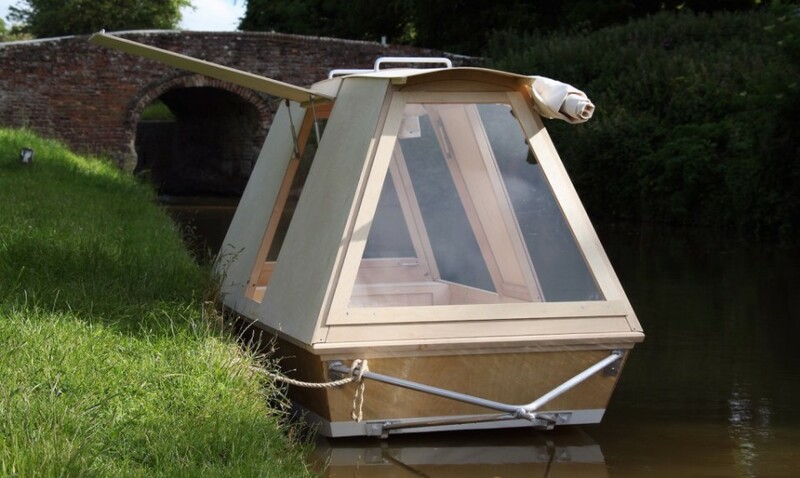 Created by Royal College of Art (RCA) graduate Daniel Durnin, the shelter features a watertight bottom, canvass walls and operable wood-framed fenestration for viewing and circulation. 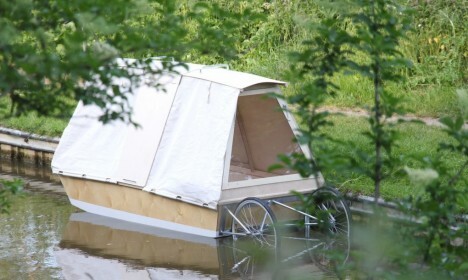 The tent-on-the-water approach renders urban lakes, rivers and streams suddenly more accessible, creating alternative campgrounds that take up no space on land. 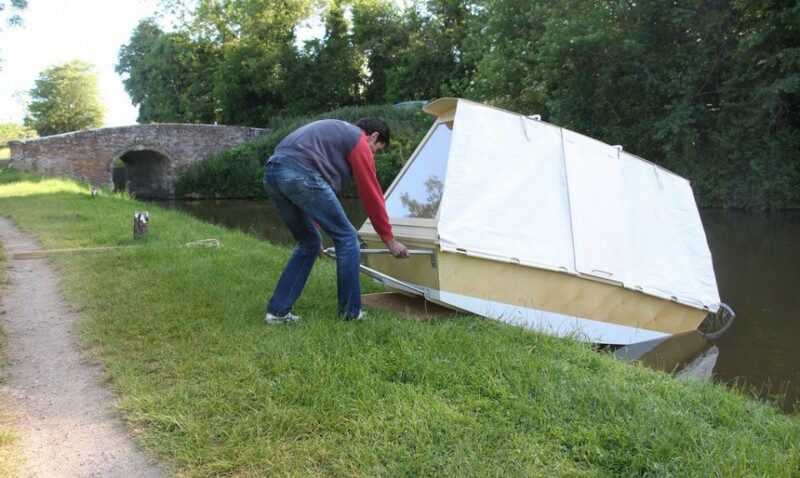 It is designed with city’s like Durnin’s own (London) in mind, places where waterways are more prevalent than unused grounds. 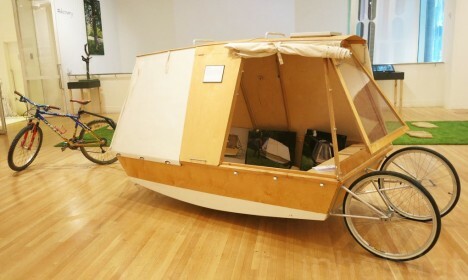 “I hope that the work will reawaken our connection with nature using the waterways as a catalyst and restore balance to the more networked living space that we now inhabit, not just in London but across the globe,” says Durnin.